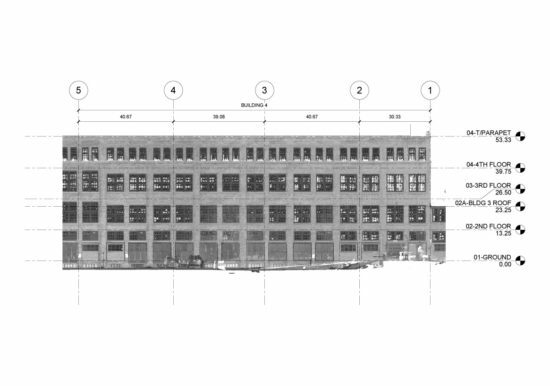 ZS was retained to perform 3D Laser Scanning (LiDAR) as part of a monitoring program for a 550 foot long by 80 foot tall section of wall that was experiencing out-of-plane movement. The project involved laser scanning the exterior at six month intervals and utilizing the data to remotely monitor movement through state-of-the-art plane and cloud-to-cloud deviation analysis. Development of second order surveyed control network around perimeter of building. 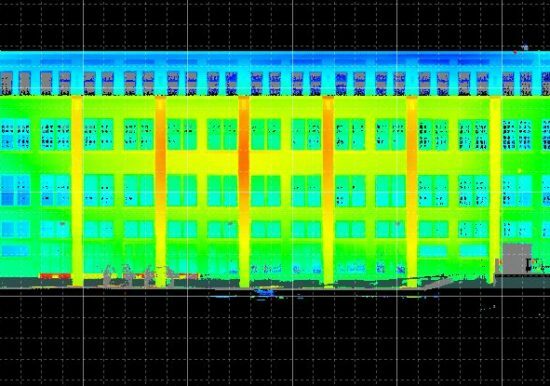 Laser scanning from ground level at six month intervals. State-of-the-art plane and cloud-to-cloud deviation analysis of scan data. 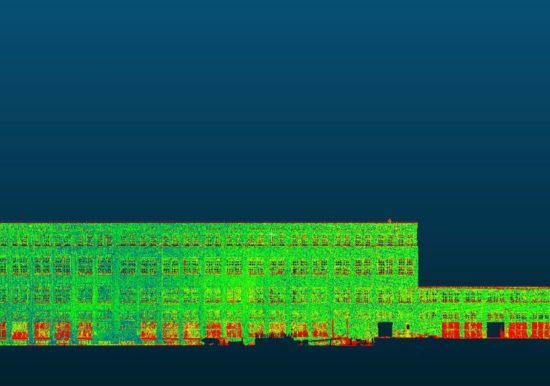 A report summarizing laser scanning and deviation analysis results.